A spacious and immaculately presented Studio apartment, within a modern and secure development, benefitting from lift access and located moments from Holborn Underground Station. The apartment is located on the first floor of this modern apartment building and benefits from a fully integrated kitchen including fridge/freezer, electric hob, oven and dishwasher. Living accommodation includes built in double bed, good storage and a spacious seating and dining area. The bathroom incorporates a large walk in shower. 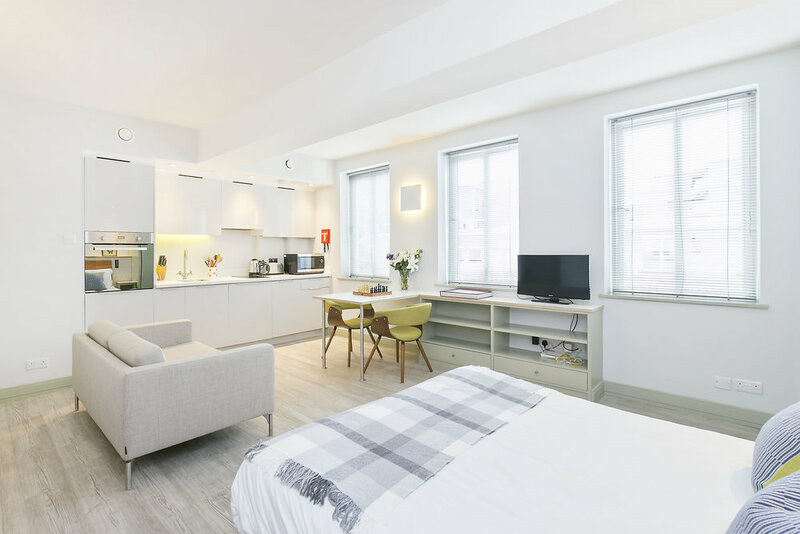 Red Lion Street is located just off High Holborn, in between Chancery Lane and Holborn underground stations, giving excellent access to both the Central and Piccadilly underground lines and within walking distance of Covent Garden. 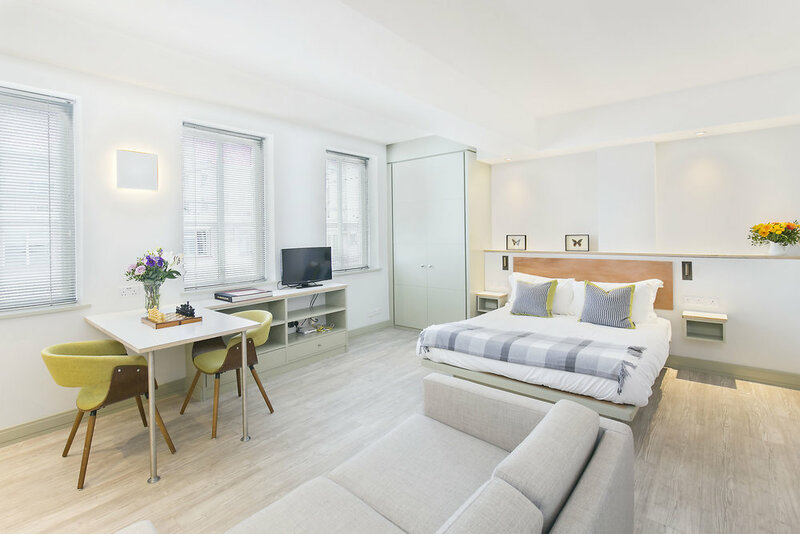 There are numerous amenities nearby including Waitrose and Sainsburys, as well as the boutique shops of Lamb’s Conduit Street, the Rosewood Hotel and Lincolns Inn Fields. Nearby institutions include SOAS, BPP and London School of Economics.